Oil firm BP has moved a step closer to losing its share of a licence for the Kovykta gas field in East Siberia. An arbitration court judge in Irkutsk has thrown out attempts by TNK-BP to stop authorities seizing the licence. The judge, Valery Titov, said that the case was outside the court's jurisdiction. TNK-BP may now appeal against the ruling. Analysts say the licence dispute is the latest attempt by the Kremlin to gain control of Russia's energy supplies. Last year Gazprom secured a majority stake in a similarly large Russian oil and gas field formerly led by Royal Dutch Shell. Shell and its partners granted Gazprom control of the Sakhalin 2 project after authorities refused to grant them the necessary environmental certificates. 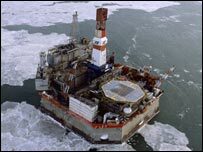 The deputy head of Russia's environmental agency, Oleg Mitvol, said earlier this month that BP's licence could be withdrawn before June. Russian authorities claim TNK-BP is not producing enough gas from the Kovykta field. They say that under the terms of the licence, Kovykta should have been producing nine billion cubic metres of gas per year by 2006, rather than the less than 2.5 billion cubic metres actually being processed. TNK-BP says that it cannot produce any more because the local region does not require additional supplies and it has been denied an export licence. Kovykta has enough gas reserves to meet global demand for the best part of a year, analysts said. The licence for the gas field is held by Rusia Petroleum, which is 63% owned by TNK-BP. "TNK-BP is confident of the legal merit of its case and will pursue all avenues to defend and retain this licence," a spokesman for TNK-BP said. 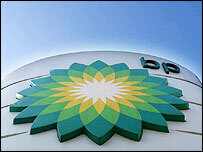 The other half of TNK-BP is owned by the Russian group Alfa Access Renova.